Liquid Fusion Kayaking has gone to the dogs. 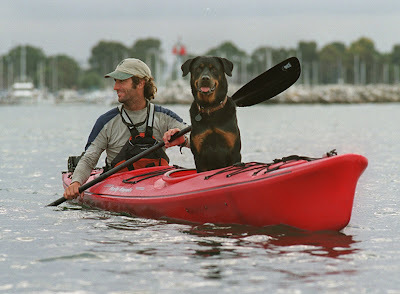 Bear and Aften the kayaking dogs of LFK have convinced us to host a Dog Paddle for all of their friends and to benefit the Mendocino Coast Dog Park. We will be hosting our first (hopefully to become annual) Noyo River Dog Paddle on October 11 from 1-3pm at Dolphin Isle Marina. We have special canine life jackets for paddling pooches and a special tour planned for them and their owners and friends. The Dolphin Isle Deli will have specials on hot dogs and other tasty treats for people and pups. 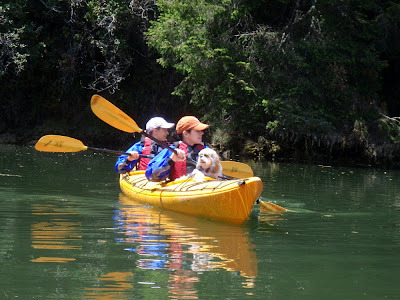 Hair Putter the canine ambassador for Mendocino County enjoyed his first kayak lesson with us last week and will be joining us for the Dog Paddle.